We accept payment from many sources to make payment as hassle free as possible and secure. Currently we accept payment from PayPal, Credit Card, Shareit, Western Union, and Bank Wire Transfer. 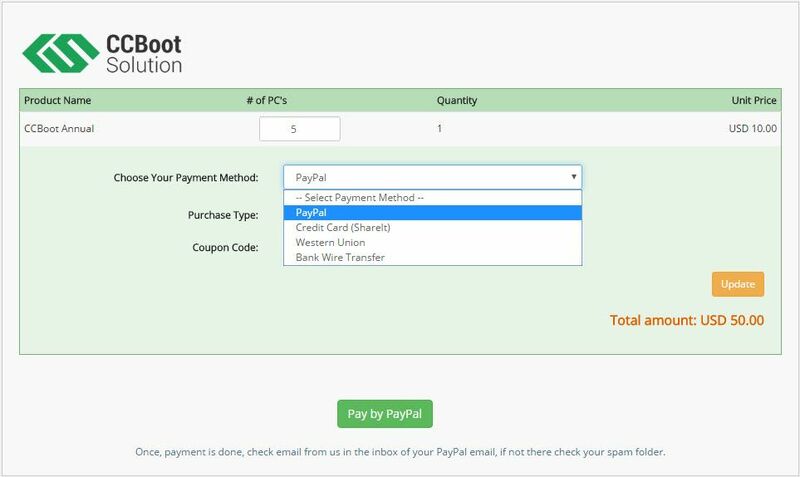 In the "Payment Method" choose paypal. Then click "Pay By PayPal" button. It will take you to the PayPal payment page. a) If you have PayPal account already then select "I already have a PayPal account." and login to PayPal to make payment. b) If you dont have PayPal account, then select "I need to create a PayPal account (where available)." then you can use your credit card to make payment. If you want to make payment using your credit card then choose "Credit Card (ShareIt)" in the "Payment Method" drop down menu. Then click "Pay By Credit Card (ShareIt)" button. It will take you to the ShareIt payment page. a) Enter your Personal Information and Choose your payment option. Then click next. You order will be placed with us. b) You can also use your PayPal to make check out, just click the "PayPal checkout" button. In the "Payment Method" choose "Western Union". Enter your email address and then click "Pay By Western Union" button. An email with Western Union Payment procedure will be sent to you. Just follow the instructions and make payment using the Western Union. Keep in mind unlike PayPal or credit card it takes longer to process payment from Western Union. It takes from 10 - 20 min to verify you Western Union payment. In the "Payment Method" choose "Bank Wire Transfer". Enter your email address and then click "Pay By Bank Wire Transfer" button. An email with Bank Wire Transfer procedure will be sent to you. Just follow the instructions and make payment using the your Bank account. Keep in mind unlike PayPal or credit card it takes longer to process payment from Western Union. Note: If you fail to make payment via Shareit or PayPal, then only use Western Union or Bank Wire Transfer. We recommend you choose Western Union, because the payment will reach us in about 10 minutes, while Bank Wire Transfer needs more time. Note: If you choose Bank Wire Transfer, please leave the "Remittance Purpose" blank, or only write "Computer Technical Service" there. And please send us an email after you made the payment.